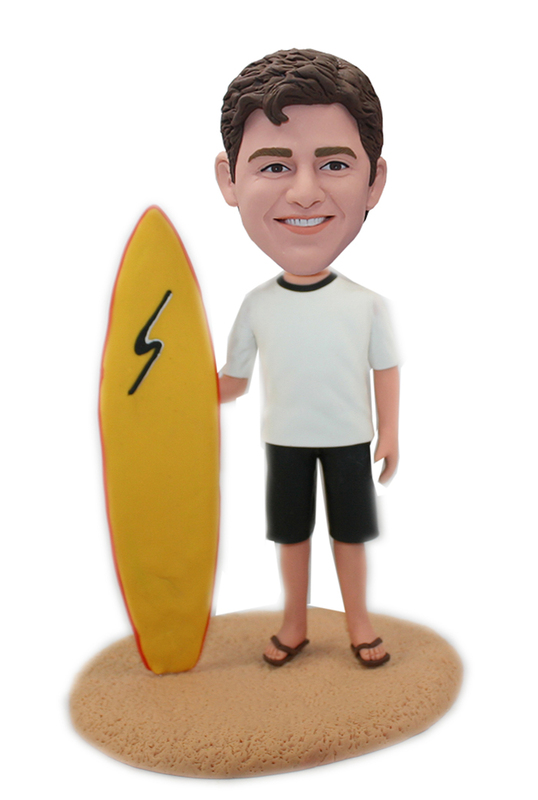 Wearing white T-shirt black shorts and holding a yellow surfboard, this custom male bobblehead doll is a surfer! 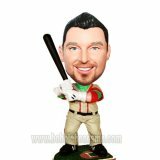 Fearlessly surfing on the wave, this personalized bobblehead is a symbol of braveness and faithfulness. Make this for your friend, no matter he love surfer or not, it will be a encouragement which reminds him that, life is just like surfing, go ahead without worrying and fear, just enjoy the storm and waves.